Isaac Adongo addressing his audience. 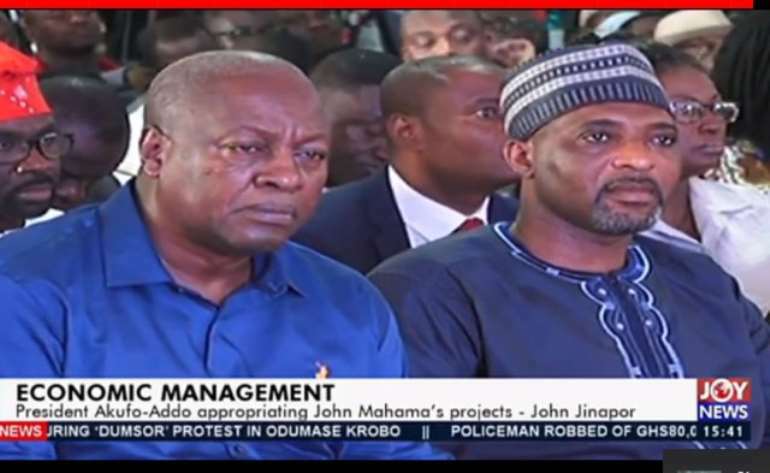 Vice President, Dr. Mahamudu Bawunia, accused the NDC of “plunging Ghana into a deep fiscal hole," at the Town Hall Meeting held by the EMT on wednesday. “This poor state of public finances, weak policy implementation and lack of policy credibility resulted in Ghana requesting an IMF bailout in August 2014. “Since there was no meat on the bone, to fill the deep hole in public finances, the government resorted to some tough fiscal measures; notably the increase in the tax burden on every conceivable consumption item and production activities. “In addition to hiring freezes, there were cuts to a number of areas of spending; most notably were cuts to research allowances for lecturers, nursing training, and teacher training allowances,” the Vice President told the audience as they cheered along. But the NDC has responded with a counter-accusation, criticising the government as engaging in inconsiderate borrowing and wastefulness. “No wonder they were celebrating with kenkey and fish. The kenkey will end up in consumption. It will end up here with our Eurobonds,” Adongo told the gathering of NDC supporters composed of former government appointees. 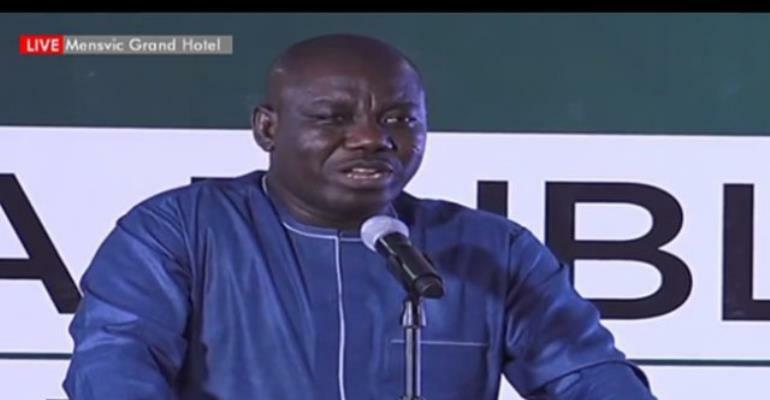 Citing the recent 3 billion dollars government Eurobond, which was oversubscribed to the tune of $21 billion, the Bolgatanga Central MP said it holds no investment potential as two billion of the bond will go into financing the 2019 and the rest into corruption. While Adongo accused the government of excessive borrowing, the records reflect that Ghana and its leaders have an affinity to bonds and borrowing. Prior to the 2016 elections, Ghana’s debt stood at ¢122 billion. Between the period of 2007 and 2016, Ghana had contracted a total of four billion dollars worth of Eurobonds with interest rate ranging between 5 and 8 per cent to be paid between 12 years and 31years.